Linda Jean Greer passed away peacefully, surrounded by family and loved ones, on Aug. 9, 2013, at the age of 62. Linda was born on Sept. 6, 1950, in Seattle, Wash. She then moved to Southern California as a young teen. While living in Southern California, Linda developed a passion for the Beach Boys and decorating the floats for the Rose Bowl Parade. Linda graduated from Arcadia High School in 1968. After high school, Linda moved back to Seattle to pursue her dream of becoming a nurse. 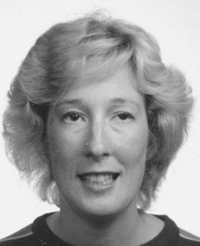 Linda graduated with a Bachelor of Science in Nursing from the University of Washington in 1972. She was in the Alpha Xi Delta sorority. Linda was an avid fan of the Washington Huskies; she watched almost every game. After Linda graduated from college, she spent part of her career as a nurse working at Children’s Hospital in Seattle. Linda took time off from nursing to visit Sun Valley in 1978. She met her husband, Stephen, while eating employee meals at the Continental Restaurant. Stephen invited her to his upcoming house-warming party in Bellevue. The relationship blossomed after that. Linda and Stephen were married in Ketchum on Aug. 25, 1984. Linda even insisted on postponing the honeymoon until the 1985 Orange Bowl football game between University of Washington and Oklahoma. Washington won! In 1983, Linda began working as a nurse at the Molly Scott Clinic in Sun Valley. Linda was a nurse for Dr. Steve Luber for 14 years. Linda was devoted to her children and family. She loved to provide large gatherings at Thanksgiving and Christmas. Linda also enjoyed skiing, fishing, hiking and biking. Linda was preceded in death by her mother, father and sister. She is survived by her husband, Stephen; daughter, Amanda; and son, Michael. Funeral arrangements are being made by Parke Funeral Home and will be announced at a later date. Parke Funeral Home’s phone number is 735-0011. In lieu of flowers, the family is asking that donations be made to the Animal Shelter of the Wood River Valley.